The Alfresco Butcher Garlic and Herb Stuffing Mix has been created as part of our new, delicious stuffing mix range – not just for Christmas! 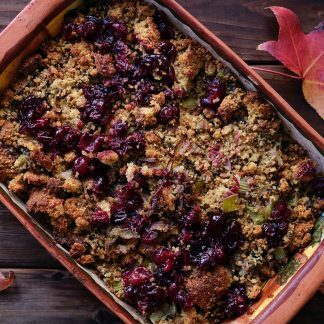 A flavoursome and versatile stuffing mix, suitable for all meats, poultry and vegetables. Created with the retail butcher and foodservice customers in mind. Available in Butcher-friendly 3kg Packs. Perfect to use for Christmas Turkeys. Can also be sold as ready-made stuffing, in 350g foil trays. For something extra special, make into stuffing balls and wrap in streaky bacon. View the rest of our Stuffing Mix range.